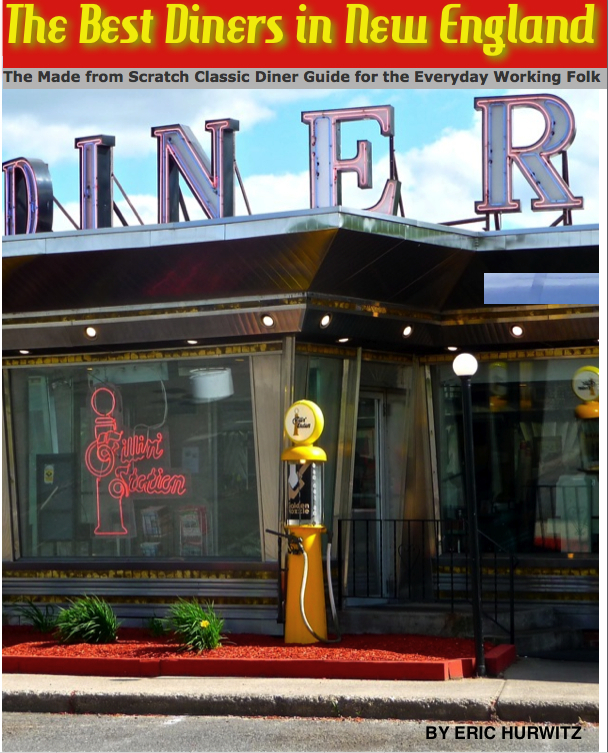 Seven diners in New Hampshire have been featured in the new Kindle ebook, The Best Diners in New England. Lifelong New England resident Eric Hurwitz cited the following New Hampshire diners in his book as achieving "best of" status: Joey's Diner in Amherst, Lindy's Diner in Keene, Littleton Diner in Littleton, Peterborough Diner in Peterborough, the Red Arrow Diner in Manchester, Roundabout Diner in Portsmouth and the Tilt'n Diner in Tilton. Hurwitz took into account food quality, service, value for the money, sense of community, pride of ownership, and, in many cases, historical preservation -- many diners still remain housed in old dining cars. "What's ultimately most important in a great diner is having that spirit that can be experienced the very second you step into the place," said Hurwitz. "The best diners have a certain unique feel and make you feel welcome in a setting where everyone seems to know each other. These seven New Hampshire diners embody the best of what makes diners such an American treasure. Of course, a great blue plate special and slice of apple pie can only help the matter!" New England is the birthplace of diners, and still has many of these national and local treasures to this very day. The Best Diners in New England features some of the very best classic and modern diners with personal reﬂections, history, interesting and humorous anecdotes, and plenty of colorful photos. Buy The Best Diners in New England book here. Price: $7.99. The price of the book will be rising soon, so now is the best time to buy! 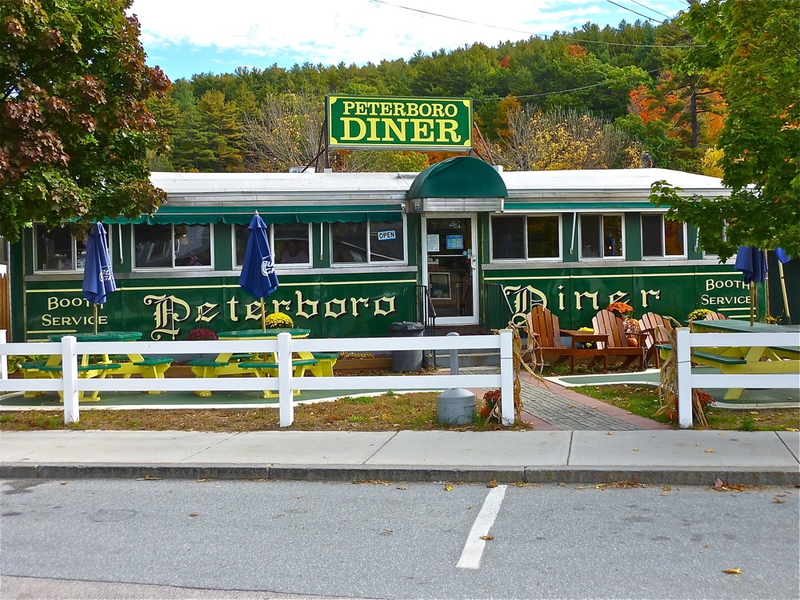 The Peterboro Diner in Peterborough, N.H., is one of the diners featured in The Best Diners in New England book. About the author: Eric Hurwitz writes straight from the heart on New England travel for his readers on VisitingNewEngland.com. A lifelong New Englander, Hurwitz has covered New England travel since 2001 with a focus on hidden destinations, attractions and restaurants. Articles on the site have been referenced by media outlets including USA Today, Woman's World, the Maine Office of Tourism, BusinessInsider.com, eHow.com and Wikipedia.com. Hurwitz holds a bachelor’s degree in journalism from Suffolk University in Boston, Mass., and spent 20-plus years as a reporter, assistant editor, and public affairs specialist in the public and private sectors before starting his work of love, VisitingNewEngland.com. He is the author of Massachusetts Town Greens, which features 70 of the most historically significant town commons in Massachusetts.